NOIDA :– Its that time of the year where every school is organizing its Annual Fests before the annual exams. 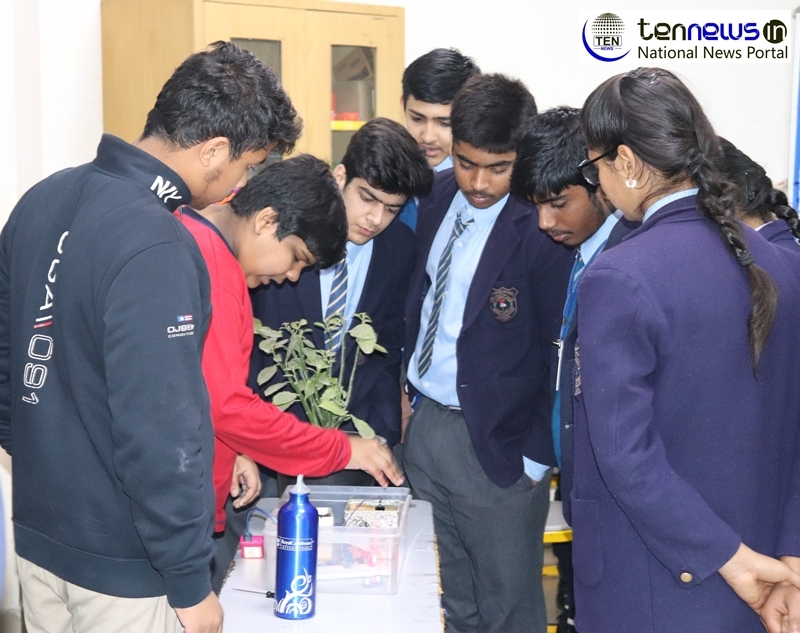 Billabong High International School in Noida, organized its Annual Science Festival and Club Culmination “MATRIX” today. MATRIX is a two days event, that will be taking place from Friday, February to Saturday, February 9, 2019. To inaugurate the Science Fest, Swami Shantatmananda from RamaKrishna Mission, Delhi,was present as one of the Chief Guests. Today, the annual day was graced by exhibitions from students on various topics and themes. Billabong High International School’s principal, Sharmila Chatterjee said “that the event is a platform for the children to showacase their talents in the area of their interest. Students from preschool to 11 standard took part in this function and will present their work which they have been doing from last 1 year”. “As we know, a healthy mind, body and soul is the key to success. One of the Sustainable Development Goals established by the United Nations is ‘Health and Well- Being”. “Today we have organized an exhibition and tomorrow there will be proper stalls for food, games and fun activities for the children as well as the parents”, she added. On Saturday, February 9, 2019, the Annual Fest will be open to all, with number of stalls present for food, drinks, health, hand moulds, games etc.